Do you have either a very small, or very simplistic website and have determined you want to develop and use a web presence as a key component of your organization? Perhaps you have previously invested in your web presence in the past, and find that you are simply outdated, or even worse incompatible with the current web environment and are losing not just your investment, but your position and business volume within the World Wide Web. The real questions is: Why SHOULD I Have a Web Presence at all? This is a very critical question, and you might think it is too simplistic. However we find many organizations in the Small Business segment to be fairly confused about why they even want one, and what they could, would or should even do. Following are a few simple applications. By not means are these comprehensive, but they might help for the purpose of this discussion. One thing to remember, all these following concepts must eventually end up accomplishing your primary business goal, which typically is to achieve profit in whatever form you measure. A shingle out of the virtual streets: This is simply the idea that you have a website that advertises you as an organization that provides certain services or products, and that someone should stop and check you out. A resource of information, content, and concepts about a topic or product. A lead generator for your sales organization to follow up with, as well as market to in the future. An online store for your products and services. Users can literally order or even receive product or services from you without contacting you directly. .
A brand homestead. You are simply occupying a spot out in the marketplace to maintain, expand, define, and protect your brand. You might not be attempting to create a specific sale, or lead, but you want to re-enforce your brand identity. An extension of your organization to your customers and vendors. Think of a portal where customers can log in, interact with your organization, check on order status, or receive updates from you. The first 5 examples rely on far more than simply having a website. You can have the coolest, slickest, most-est website in the whole www and yet if no one can find you, and i compelled to engage your site, it will result in no benefit. By far, Google is the critical component of getting found. You can check this site and find out what % of traffic is provided by Google to the whole world. This essentially makes Google the gatekeeper of the web. They receive people at the gate to the www (searching for something), and then based on their massive database of websites they have inspected, and then direct the visitor to the best resources they have determined. If Google doesn't even know you exists, they CANT refer people to you. As big as Google is, they are not able to even know your web presence exists unless you tell them. In fact, you don't have to just tell them you exists, you have to engage them on a regular basis and remind them. If Google doesn't understand clearly what you are about, then it doesn't know how to refer people to you. Remember, Google isn't a bunch of people reading your site. In fact, the best they can do (and they do the best job out there) is to "crawl" your website with software and make their best guess what you are about. Try to imagine a machine, without any context, determining your core service or product. If Google doesn't believe you have anything valuable, unique, authoritative, or otherwise special to offer, they have plenty of other sites (billions of them) that they have looked at and are happy to refer users to. Google has a key mission (their bottom line depends on it): Providing the BEST referral to the BEST information someone is searching for. It is critical you make Google happy. Int he past, even as recently as 1-2 years ago, making Google happy was a math problem. The more people linked to you,t he more you did, the more volume you yelled at Google, the more attention you got. Normally this is measured in "ranking". How high up tot he top you rank on Google, the better (in theory) you do. It is proven that the higher up in the results you get on Google, the more success you normally have in your attempt to get attention. However, Google is not only founded by, but staffed and motivated by, very smart people. Smarter than you, me and your 100 best friends (as long as they don't work at Google) combined. Google has put into place many adaptations that have filtered out things they don't like. Google began to change the focus from just a pure quantity issue, to a quality issue. It isnt just the amount of noise you throw at The Gatekeeper, but how well, how clear, and how authoritative your noise sounds to Google. Not only that, but the quality of the user experience is brought into play.And the most recent change, how well does your web presence interact with technology. Clarity: How clear, focused, coherent your information is is key.A jumble of bad information, poor grammar, or multiple competing focuses on a single page is fundamental. The way your information is indexed is key. A classic example of this is tags, categories and other website elements that help structure your information well for Google and your users. Originality: The information has to be original. Int he past, simply copying content and reusing it over and over is actually penalized, not just overlooked. Your information needs to be unique when inspected. Authoritative: This is a combination of good content coupled with other people recognizing it. When other people refer to your site, share it, linking to it etc... and Google knows about it, they understand your site as higher on the authority scale, and believe you are a better resource than others. As well, all things being equal, the longer a site has been around, and the more history it has, the better. User Experience: Your site must be well structured, with clear navigation, organization, and must be optimized. Optimized means everything from how it looks, to how fast it is. all things being equal, faster is MUCH better for Google. Technology: The most recent change as of this writing is whether your site is responsive and usable to mobile devices. This is so important (the estimate is by far the majority of web searching is going on in mobile or table based environments) that many sites were significantly penalized by not having this feature when Google recently implemented it. Literally overnight, the traffic a site got evaporated without the right setup. One of the solutions is to do all the research, become a web developer, and swing at this until you see a change. The obvious dilemma is simply that the learning curve is not only steep, it is constantly changing. Taking valuable time away from your core focus, and taking the risk on your ability to learn this is a mistake. Take it from us, this is a full time focus, and many (if not all) of the best ranking sites you are competing against are using a service. If they aren't, they either have an in house specialist, or will eventually migrate farther and farther down until they effectively disappear. 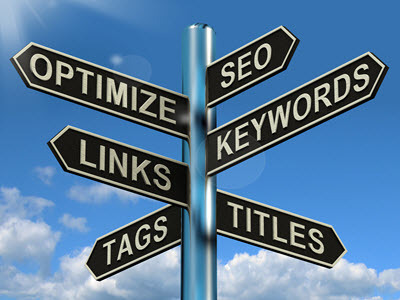 Evaluating SEO services is simply as overwhelming as the SEO world itself. We worked on a project developing SEO for a photographer, and saw pricing ranging $25 a month to $1500. Obviously, with that range there is huge discrepancy. After a lot of research, it became clear that the lower end of the scale was very rudimentary, and in some cases, totally bogus services. At the higher end, there was a similar problem. There were many claims of success, along with incredible disclaimers that absolved the organization from any obligation of results! After significant time researching it become obvious that there was a lot of scams. The stories were too numerous to ignore. It also became obvious that some services were working, because it was simply impossible to truly rank in Google without outside support or dedicated, full time internal effort. The reality there is a need for coupling an internal structuring and method for creating content and putting it on the web ("on page") with external ("off page") activities that provide the authoritative signals Google wants. These external services have to be "white hat", or legit, highly regarded by Google. The alternative is called "black hat", and can be anything from frowned upon by Google, to outright fraudulent and even illegal. When it comes to the technical, under the hood element of your web presence, we can help. We can help you understand and develop a method for content that will determine the best words to use, the way to present content optimized for Google, and the way to keep reminding Google about you. In addition, we have a key relationship with an SEO service that has an extremely long history of foundational SEO service. 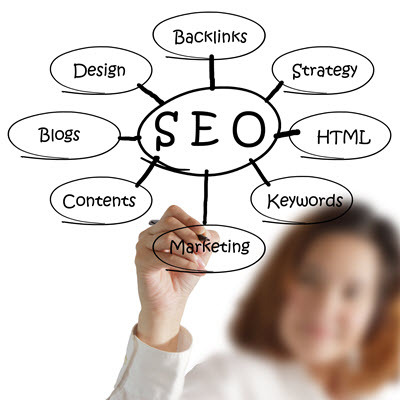 In fact, as we began working with them, we began to see that there is only a handful of companies that actually do this work, and most of the organizations offering SEO services are simply resellers of these organizations. Many of them are marking up the service hundreds of %, without supplying and additional value! We work with you AND them to get you a great in house strategy, while making the job easy and quicker for the SEO service. The interesting concept for our SEO service company is you DO NOT PAY until your content is ranked organically on page 1 of Google. This is a dirty little secret most services wont talk about. They charge you thousands of dollars a month, and you have no guarantee. Normally their contracts are 6 months. With our service contractor, you pay a certain fee to initiate all the research and effort, then you will not pay until you are ranked. This way everyone has incentive to go as fast as possible and get your rankings high. It is normally a 3-5 month process, so starting sooner is better. Anyone who says they can provide you results faster is probably using :black hat: technique, and you run the rick or permanent black listing by Google. .
We also work with visual designers that can provide consulting on the visual, graphical elements of the way the site looks and feels. An effective style guide, with integrated colors, typography, and layout can go a long way to a better looking site, as well as a better conversion rate among your visitors. If yu need to take a deep look at your web presence, improve it, and benefit from the massive scale of the web, contact us.